High Quality for iPad Mini Digitizer Complete Assembly with IC Chip Connector,Control Flex Cable,Home Button,Home Button Flex Cable,Camera Holder and Ashesive stiker, it can work well and cheap make much customer like it! 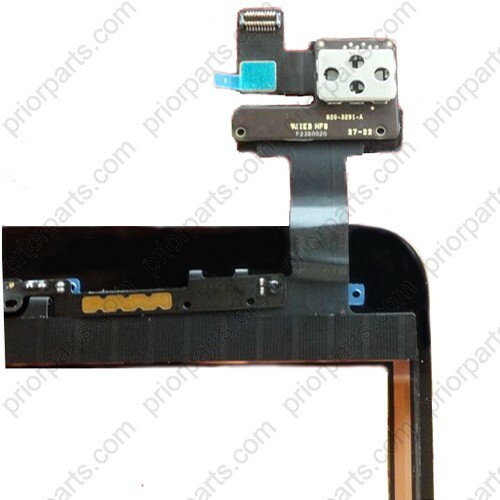 1.High Quality for iPad Mini Digitizer Complete Assembly with IC Chip Connector,Control Flex Cable,Home Button,Home Button Flex Cable,Camera Holder and Ashesive stiker.This is a full complete pre-assembled unit. 2.This item is good quality.Brand new.It is a pre-assemble full set.You don't need solder.This item is our technician self-soldered.It comes with all the small parts pre-assembled. 3.Each one will be double checked to make sure the digitizer is sensitive and home button works too. 4.Delivery:1-2 days, priorparts.com have large quantity in stock. 5.Packing: The digitizer assembly will be put in a thick bubble bag and then put in a foam box.It is safe enough.